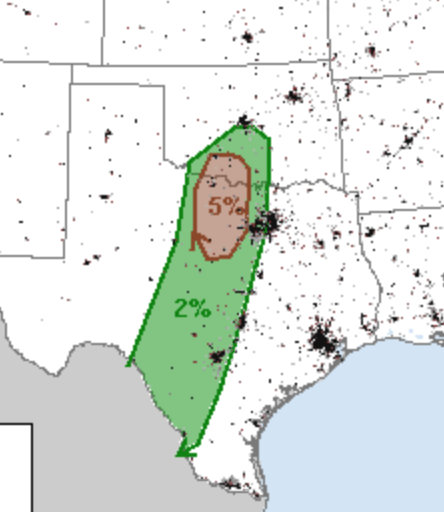 The area in brown has a significant risk of a tornado or two later today. This includes Wichita Falls, Lawton and far west part of DFW Metroplex. Stay tuned to the weather in your area if thunderstorms approach.